Jose M. Rivero - Partner - Cullen, Haskins, Nicholson & Menchetti, P.C. Jose M. Rivero is a graduate of Indiana University and received his Juris Doctorate from Indiana University School of Law-Indianapolis. While in law school he worked as a law clerk with the Indiana Migrant Farmworker Project and upon graduation was hired as Project Director. There, he handled cases involving migrant farm workers throughout the State of Indiana primarily in the areas of labor and employment, including workers’ compensation. He has also worked in Buenos Aires, Argentina, for the Movimiento Ecuménico por los Derechos Humanos, where he worked on human rights issues related to undocumented workers entering Argentina from neighboring South American countries. Since then, he has concentrated his practice in Workers’ Compensation, representing injured workers throughout the State of Illinois. He is a native Spanish speaker and has been admitted to practice in both Illinois and Indiana. He has lectured on the topic representing immigrant workers for the Association of American Trial Lawyers and the Illinois Trial Lawyers Association. 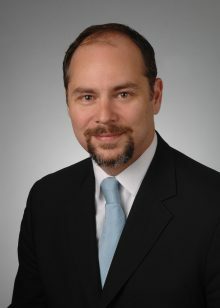 He is currently a member of the Illinois State Bar Association, Chicago Bar Association, the Hispanic Lawyers Association of Illinois, The Workers’ Compensation Lawyers Association of Illinois, the Illinois Trial Lawyers Association, The Workers Injury Law & Advocacy Group, and the Association of Trial Lawyers of America. He serves on the Board of Directors and as co-chair of the Workers’ Compensation Committee of the Illinois Trial Lawyers Association, as well as the board for the Farmworker Advocacy Project. He is also a member of the Legal Advisory Committee for the Working Hands Legal Clinic. Jose became a shareholder of the firm in 2014. Copyright: 2019	by	Cullen, Haskins, Nicholson & Menchetti, P.C. All rights reserved. You may reproduce materials available at this site for your own personal use and for non-commercial distribution. All copies must include this copyright statement.